If you have dark, unsightly streaks on your roof, it doesn’t mean you need to replace it. That is mold, and it is a common roof problem that spreads from roof to roof, feeding on the building material. When your roof succumbs to organic growth (an inevitability for some roof types in the Burton climate), the only way to effectively address the issue is with the proper cleaning tools. You cannot power wash roofing shingles as that will cause damage to the structure. At Good's Roofing, our roofing contractors have a very effective soft washing technique that will get your roof as clean as the day it was installed. We have proudly kept countless Michigan roofs clean since 1997. 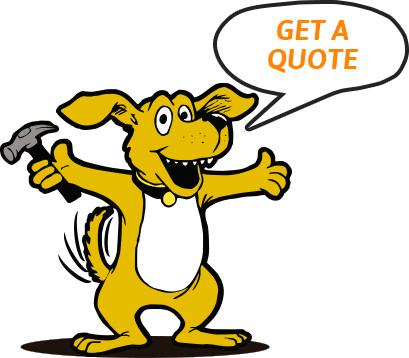 Contact us today if you want your roof to be next! Improved curb appeal! Everyone wants their home or business to look the best. Having your roof cleaned is a small cost for a Huge difference! Improve your roof's longevity! Most manufacturers guarantee 25+ years, get the most out of your shingles, by having your roof treated using our 100% biodegradable soft-wash formula. Decrease utility cost! By removing black stains and providing a more reflective roof surface, roof temperatures may decrease, keeping energy bills, down and more money in your pocket. Maintain the value of your Home or Business! One of the most expensive investments in your life is your home or business, becoming a member of our preventative maintenance program, may help maintain your roofs structure and appearance. Increase roof life! Prevent leaks and cracks from prematurely developing due to algae, moss, and lichen. Clean it, don't replace it! You can save thousands of dollars by softwashing your roof, rather than spending thousands of dollars on a roof that doesn't need to be replaced. Our professionals use the Roof Cleaning Institute of America (RCIA) and American Roofing Manufacturers Association (ARMA) recommended soft-wash system. This system is 100% biodegradable, affordable and safe, unlike high pressure systems that will damage shingle composition. 2 year warranty! We stand behind our work at Good's Roofing, if any algae, moss, or lichen are to appear within 2 years of having your roof cleaned, we will send out one of our professionals to have the roof cleaned for FREE! Our professionals are soft-wash certified accumulating 10+ classroom hours, striving to use the safest and most up-to-date softwash systems. Health benefits! Eliminate mold and other organisms from passing through your roof and into your attic. At Good's Roofing, we use special organic compounds that soak deep to the root of the mold, mildew or other stains in your roof. The soft wash compounds break down and eat away at the stains. These compounds are safe for the environment but deadly to molds and other offending growths. After our soft wash solution does its job, the remaining residue can easily be rinsed away, requiring no pressurized water. We can also use our soft washing technique. Our method is thorough and effective and that is why we are the number one choice in Burton for soft washing experts.